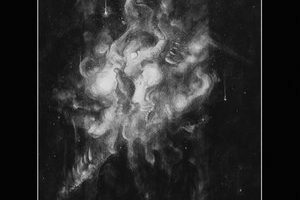 Boston black metal manglers INFERA BRUO are pleased to announce the imminent release of their sophomore album, entitled Desolation Unknown. This mind-melting collection of vicious extreme metal prophecies will be available on CD and digital formats on July 1st, 2013, and in keeping with the band’s fierce independent streak, will be handled by the culprits themselves. 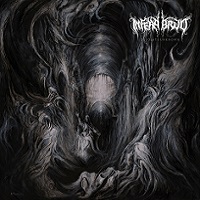 INFERA BRUO formed in late 2009 when and feature the considerable talents of past and current members of TRAP THEM, PILLORY, VIRULENCE, and more; members Germanicus, Adroth, Neutrino, and Galen have cut their teeth on everything from 70’s art punk and post rock to progressive jazz-infused grindcore, epic black metal, and technical death metal, and their schizophrenic skill sets rear their ugly heads in their latest project’s multi-faceted approach to extremity. Fans of ENSLAVED, ANAAL NATHRAK, BLUT AUS NORD, and early Opeth take note! They released a self-titled album in 2011 that was recorded at Massachusetts’ Studio G by Galen and mastered by Alan Douches at West West Side Music. The record was a blend of dark melodies, atmosphere and electronics and was well-received by media outlets. The band played numerous live shows in the New England area in support of the release, then hit the studio once more at the dawn of 2012 to record a follow up. The album was once again recorded and mixed by Galen and mastered by Brad Boatright at Audiosiege Engineering. More information on INFERA BRUO can be found on the band’s Bandcamp page.